If the title Sweet Tooth Fairy’s VaNIElla Squared Cupcake Copycat Recipe doesn’t mean much to you, let me explain. Sweet Tooth Fairy is a cupcake shop in Utah (the owner was on Cupcake Wars and won!) and the VaNIElla Squared cupcakes are one of their most delicious (and popular) cupcake flavors ever. 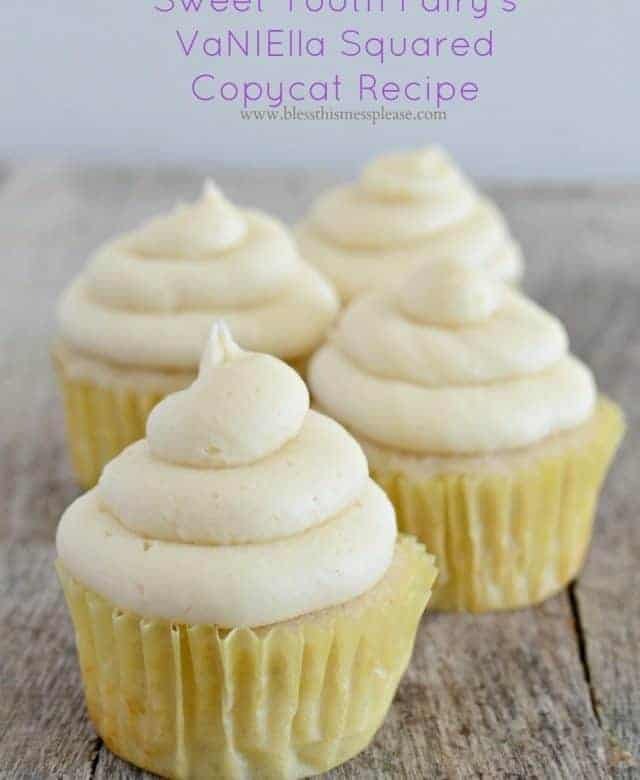 You just can’t beat a perfect vanilla cupcake with out of this world vanilla icing. The cupcakes used to be called Vanilla Squared until the shop decided to change the name to honor one of its biggest fans – Stephanie Nielsen from Nie Nie Dialogues. , is amazing and I highly recommend it. She has such a painful yet inspiring story! Being burned alive and living to tell the tale with truth and grace really is a testament to who she is. When I found out that she was going to be the keynote speaker at the Women’s Forum in Kanab this spring I got so very excited! I bought a few copies of the book for her to sign and decided that I need a gift to take. Her favorite cupcakes were an obvious choice. Recipe testing commenced and about a month later I had created a nearly perfect copycat of her favorite VaNIElla Squared cupcakes from Sweet Tooth Fairy. These are SO good! The crumb of the cupcake is moist and sturdy and that icing will change your life. I can’t wait for you to try these. 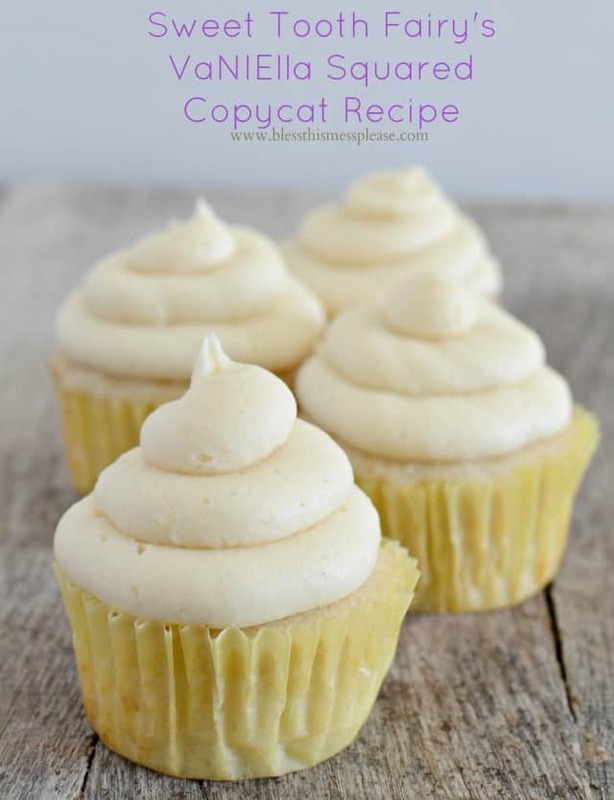 You just can’t beat a perfect vanilla cupcake with out of this world vanilla icing! In a medium bowl combine the flour, baking powder, baking soda, and salt. Use a whisk to combine them. In a separate medium bowl add the melted butter and the sugar. Stir to combine (will be gritty). Add the egg whites, yogurt, milk, and vanilla extract to the sugar mixture and stir to combine. Add the flour mixture all at once and stir until just incorporated. The batter will be thick. Divide the batter evenly among the 12 lined cups. Bake for around 20 minutes until a toothpick inserted into the center of a cupcake comes out clean. Remove from the oven. Let the cupcakes rest for 5 minutes before removing them from the pan. Allow to cool before frosting. Add the butter to the bowl of your stand mixer. Mix on medium speed with the whisk attachment until the butter is light and fluffy, 3 to 5 minutes, Add cream, extracts, salt, and 2.5 cups of the powdered sugar. Mix on low until combined and then increase speed to medium and whip for 3 to 5 minutes. Add the icing 1/2 to a 1/4 cup at a time to until you reach the desired consistency. I don’t normally use a lot of different extracts but they are the secret to the Sweet Tooth Fairy Copycat. They add just a subtle difference that you hardly notice but make this icing amazing. And if you aren’t coconut fans, don’t worry, it doesn’t taste “coconuty”. So with books for her to sign in one hand and cupcakes in the other I went up to meet someone who I feel is a total celebrity. I was so nervous and again felt like ditching the cupcakes and running away but Stephanie was kind and attentive. If meeting people you don’t know every day gets tiring you sure can’t tell with her. She treated me just like an old friend. I can’t give you a dozen cupcakes but I did have her sign a copy of her book for me to give away here on Bless this Mess! It’s been sitting on my desk for way too long and I couldn’t be more pleased to finally have this giveaway up. You will LOVE reading this book, you will be inspired to choose joy and happiness, and you’ll probably need to make a few cupcakes to enjoy while reading. 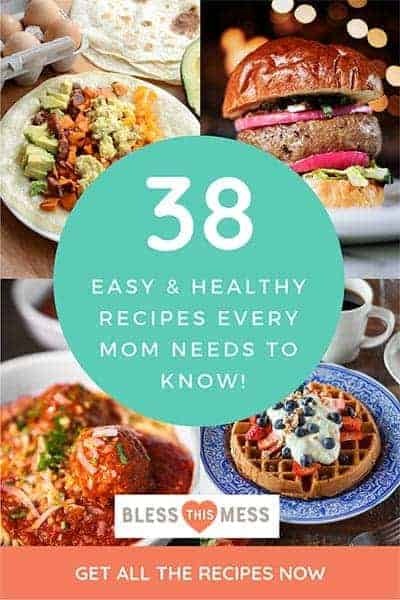 by Stephanie Nielsen just enter below! Have a great weekend friends and good luck! 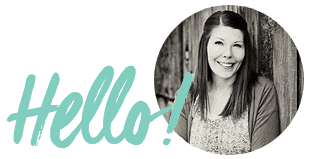 Disclosure: This giveaway is sponsored by me because I like you. The end. I am not a big cake person but I do LOVE the Sweet Tooth Fairy’s raspberry lemonade cupcake, it is to die for! I just think it’s awesome you brought her some. I would’ve had such a hard time doing that… but I bet she loved it! White on white cupcakes are my FAVORITE!! Those look delicious. I loved hearing Stephanie’s story at the Women’s Forum too. You sure can sub that but finding that coconut might be worth it! This is the only recipe I use it in, but it’s sooooo good! When do you add the salt when mixing the icing? I add it when I’m making the butter fluffy! Sorry, I’ll note that! Looks like a yummy recipe. I’m still on the hunt for the perfect vanilla cupcake. Might have to try this recipe. 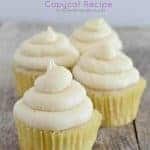 This is my favorite vanilla cupcake recipe. 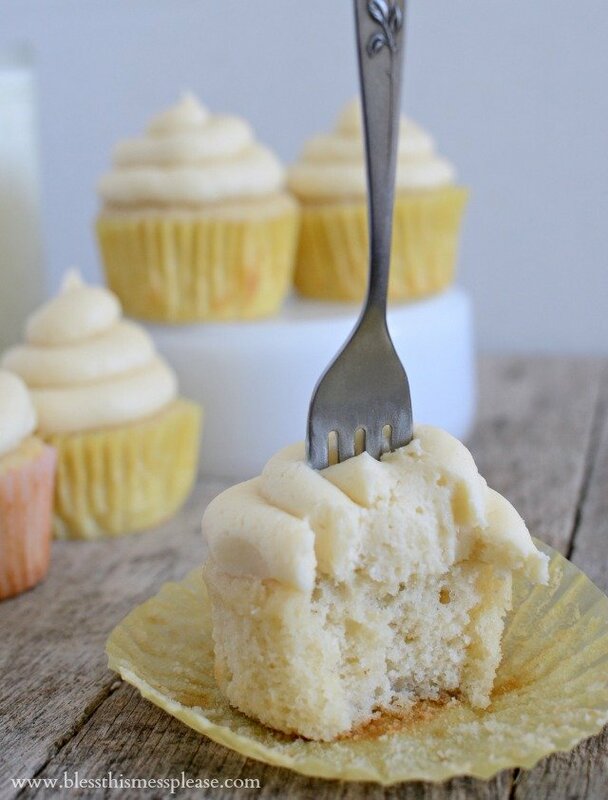 I love how dense and moist they are (in a good way)–they aren’t so dry like regular cake mix cupcakes can be. Made them for my two-year-old’s birthday on Saturday and they were perfect. Love the feedback! Thank you! That’s just what I like about them too, they don’t crumble into nothing which is a great thing for a cupcake. Happy Birthday to your little one! Can you make these a day ahead? If so how do you store them? Yep, they’ll be fine on the counter, frosted, for a day! Looks amazing. Have you tried doubling this recipe or should I just make two batches? It doubles well, I’d go for it! I’m glad she was kind to you.. I met her when I worked in the service industry and was very sweet and attentive to her, but I found her to be extremely rude, curt, dismissive, and condescending. Maybe she is nicer at publicity events or doesn’t think much of service people, but it really soured me on her and on the Mormon church. I’m so sorry to hear that, that must have been so disappointing! Please don’t let one person sour you on a whole group (aka the Mormon Church) because she doesn’t represent the whole of the people. I hope someone will come along and show you proper kindness from the church to change your impression. Merry Christmas friend!